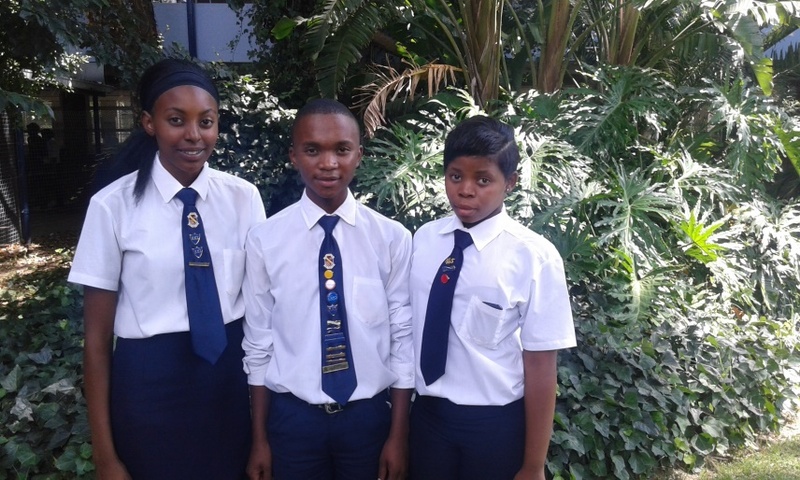 Student Interview – Meet Rorisang, Maki and Thoba! Hello from the School Enterprise Challenge team! This is our second interview in a series that explores the experiences of students, teachers, judges, mentors and staff who participated in the School Enterprise Challenge 2014. 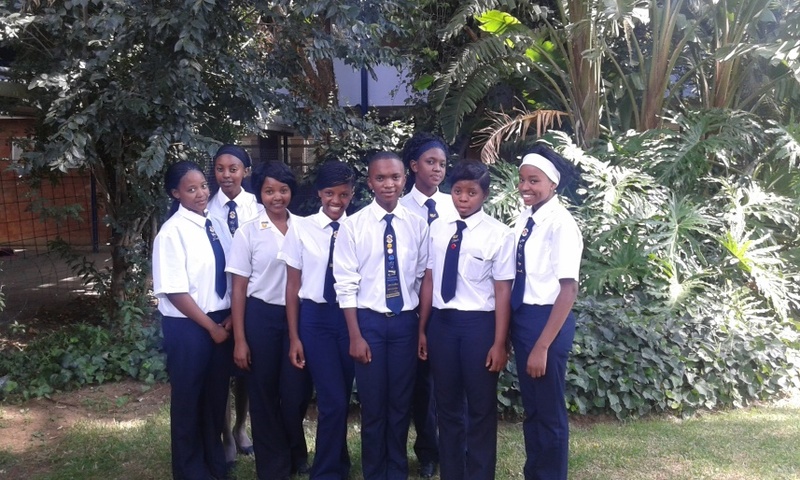 This week we will be chatting with Rorisang, Thabo and Maki students at Welkom High School in South Africa. They are part of a team that successfully set up their own Vermicomposting business named ‘Teens going Environmentally Green’. As the name suggests the team are committed to creating a business that is not only profitable but eco-friendly! 1) What new skills did you guys learn? Rorisang: I’ve learned a lot about teamwork, I’ve really enjoyed working with my team and I now feel like I’m better at working with others. I’ve also learnt a lot about patience starting a business requires a lot of hard work and is a big time commitment, so I’ve learnt to become more patient. Thabo: I’ve learnt new communication skills through speaking about the business with other students and learning about marketing and publicity. Thabo practicing his sales pitch! Rorisang: Our proudest moment was when we launched our business. Before the event we asked our classmates to bring a few of their family members along to the launch. On the day most of the students came with their whole families. It was so busy, we didn’t expect so many people to turn up! People were really interested in our business and congratulated us on our hard work. It was a great day! 3) What was the biggest challenge you faced? How did you overcome it? Maki: Managing our time, as we had to balance our commitment to the business with our school work. At the beginning we found it really difficult to find the time to run the business because we all had very busy schedules. We overcame this challenge by creating rotas and schedules, and also by working really hard, we mainly worked during the school holidays and on the weekends. 4) How have your parents, school teachers and classmates reacted to your involvement in The School Enterprise Challenge? Thoba: When we first told the other learners they thought we were crazy because they didn’t think it was possible for a group of teenagers to start their own business! But when we set up the business they started to see its importance. By the end of the challenge they were helping us to publicize and market our product. 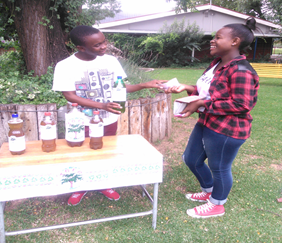 Rorisang: The biology and natural science teachers think our school business is great. They used our school business in the classroom by using vermicomposting to demonstrate practical lessons. Maki: At the beginning our parents didn’t like the idea because they thought we wouldn’t take it seriously, but once they saw that we did take it seriously and were passionate about the business they started to support us. 5) Has your experience with the School Enterprise Challenge made you rethink your future career plans? Rorisang: This experience has given us the opportunity to work with our local community and talk with other schools in the area. I’ve really enjoyed working with the local community, when I’m older I would like to start a business that benefits my community. Thanks ‘Teens Going Environmentally Green’ and keep up the good work! We hope that Rorisang, Maki and Thoba have given you some food for thought! Now that you’ve heard what it’s like, it’s time to experience it for yourself! Over the next few weeks our panel of high profile judges will be choosing the winners of the 2014 School Enterprise Challenge. For one of our next blogs we will be catching up with one of this year’s judges in order to find out what they made of this year’s entries! This entry was posted in Uncategorized on March 6, 2015 by School Enterprise Challenge.